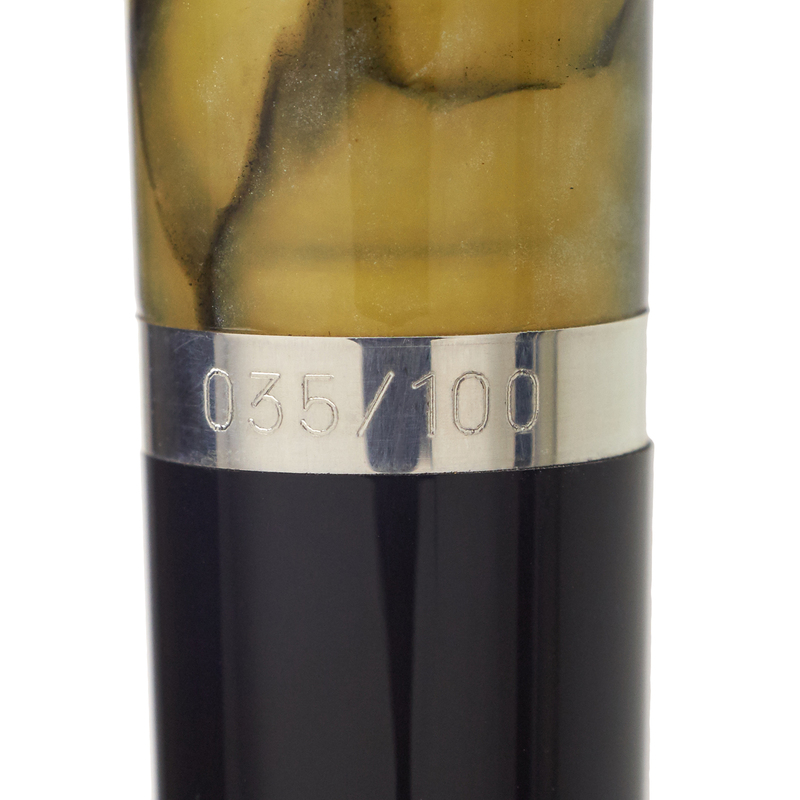 Being made available in a limited run of just 200 pieces worldwide, the Montegrappa Nazionale Marbled Green is the first in a series of three celluloid body, sterling silver trim, piston-fill fountain pens. 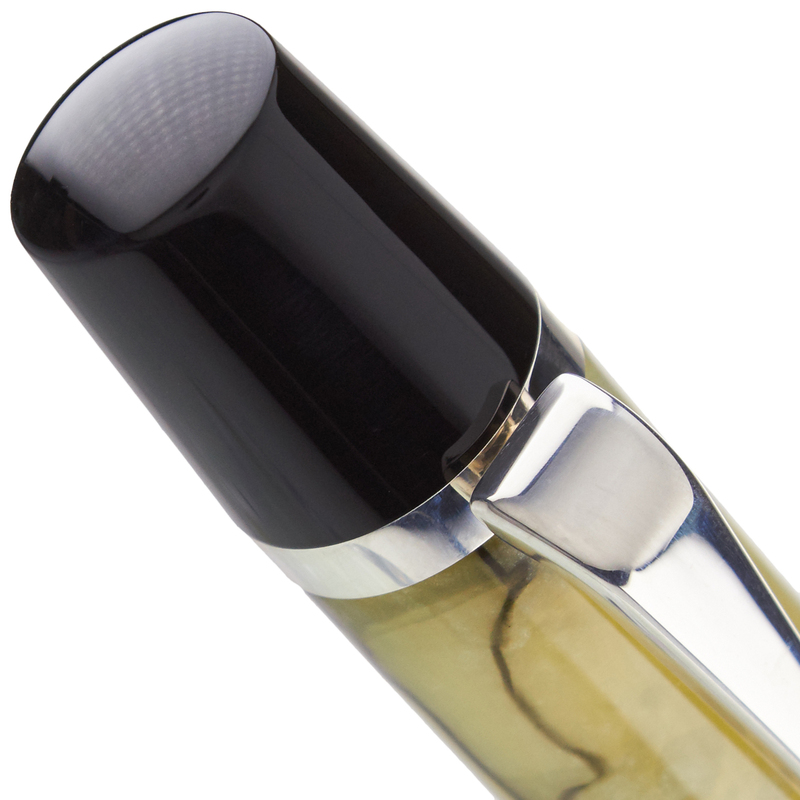 It is also being used to introduce Montegrappa's new Fine Flex and Extra Fine Flex 14k nibs, which have a unique design of particular interest to flex nib enthusiasts. 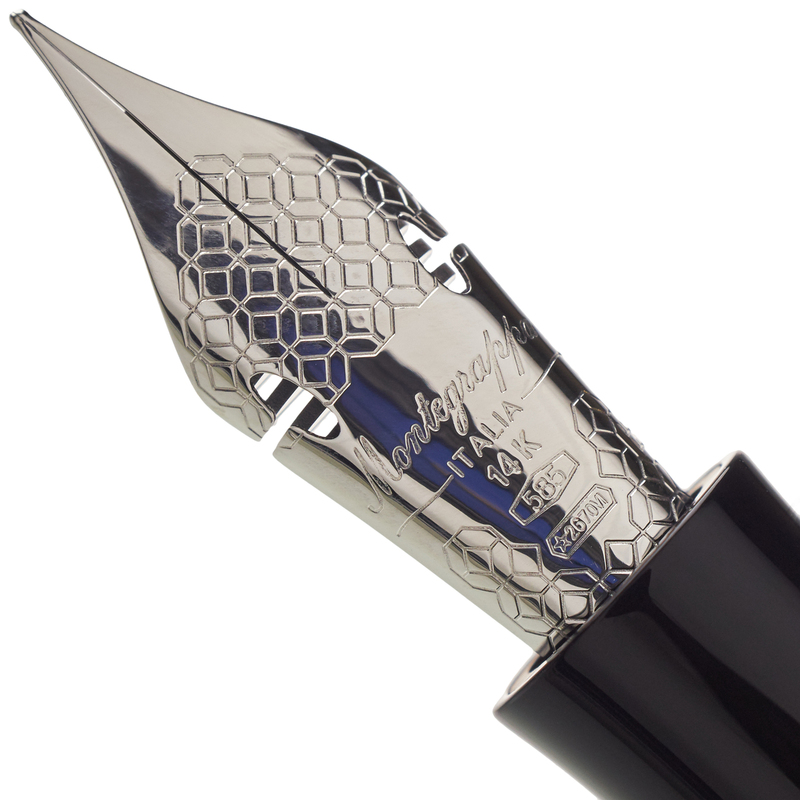 Our nib tuning services help to ensure that your pen will be a superb everyday writer from the moment you receive it. We are receiving just a very small number of these pens, and suggest ordering as soon as possible if you want to make sure of securing one for yourself. 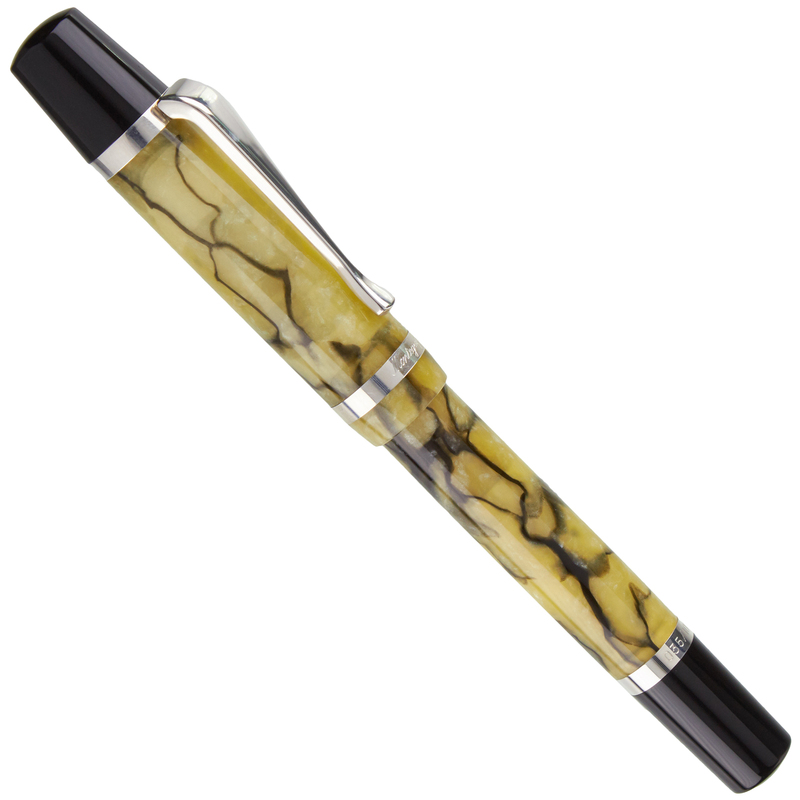 Inspired by classic Montegrappa writing instruments from the 1930's, the Nazionale Marbled Green showcases Italian pen design and engineering at its finest. The new Fine Flex and Extra Fine Flex nibs will be an excellent choice for those who enjoyed the Flessible nibs manufactured by OMAS - but these nibs have their own unique design, with special cut-out shoulders in the nib body to further facilitate the flexing process. 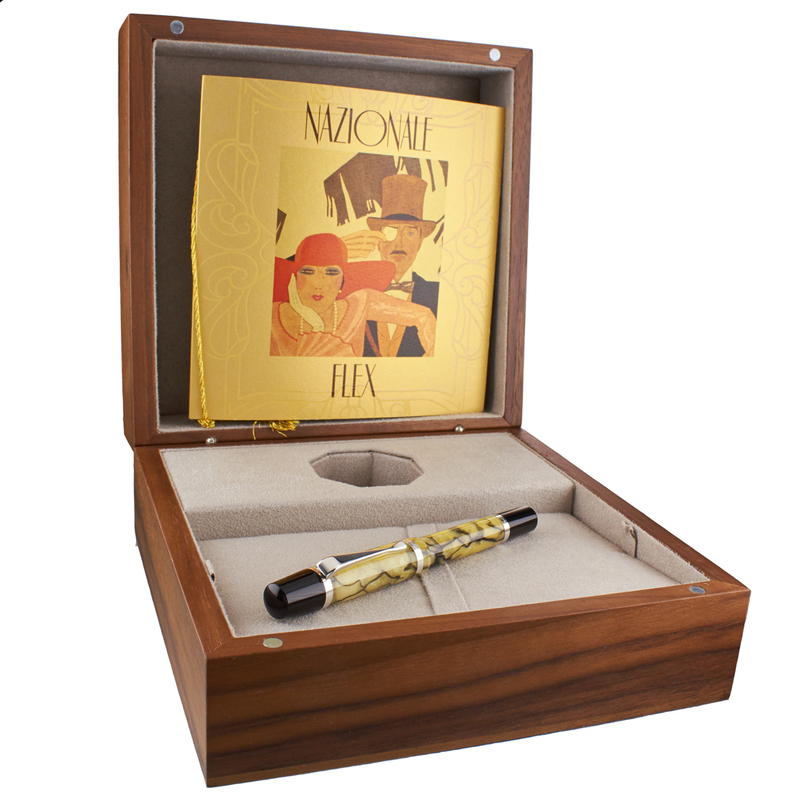 The piston-fill system allows the use of any bottled fountain pen ink, and each Nazionale ships in a special walnut presentation box. We are an authorized Montegrappa dealer, and carefully inspect and test each pen prior to shipping.